Don't see your question answered? Feel free to contact us with your questions! Will transit solve our traffic problems? Why shouldn't we use the money to build more roads? MARTA is a poorly run agency, why should we trust them as a viable option? No one rides transit, so why should we build more? Will transit lower my property values? Will my taxes be used for another county's projects? How will I know our interests are being kept in mind? Why should we consider joining MARTA if we already have a transit agency? Why should we consider joining MARTA if we already have GRTA? No, sadly. The point of transit is not to fix traffic nor reduce congestion. The point of transit is to allow for alternatives to that traffic and congestion for as many people as possible. Induced and latent demand for road space, as well as naturally occurring growth, will make sure that traffic is always a factor. What transit does do, is allow far more people to bypass crowded roads, and not be a part of traffic. This, though not likely to reduce traffic, increases the over all capacity in a corridor, and in the metro as a whole. More people can, therefore, get around without making traffic worse. Just as more transit won't solve traffic, more roads will not solve traffic, for exactly the same reason. 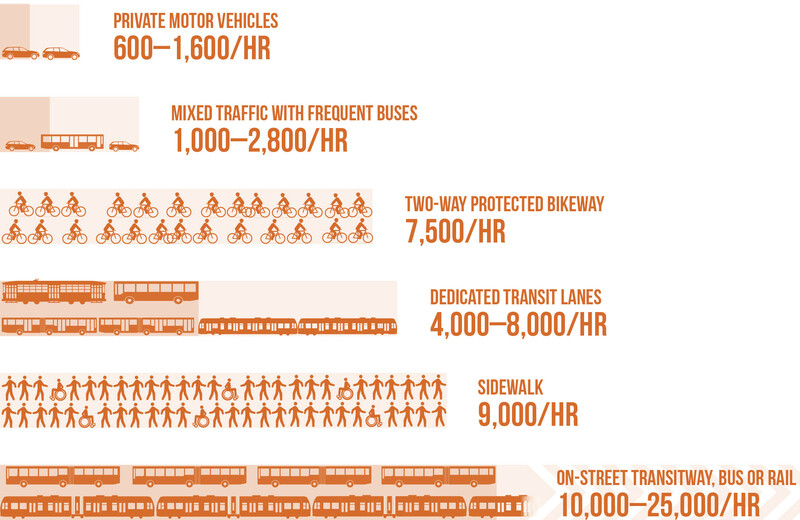 What is important, though, is that transit can carry many more people in a given amount of space than cars, making it more space efficient and able to scale up to growth far easier. There's also air quality, and green-house gas emissions to consider. 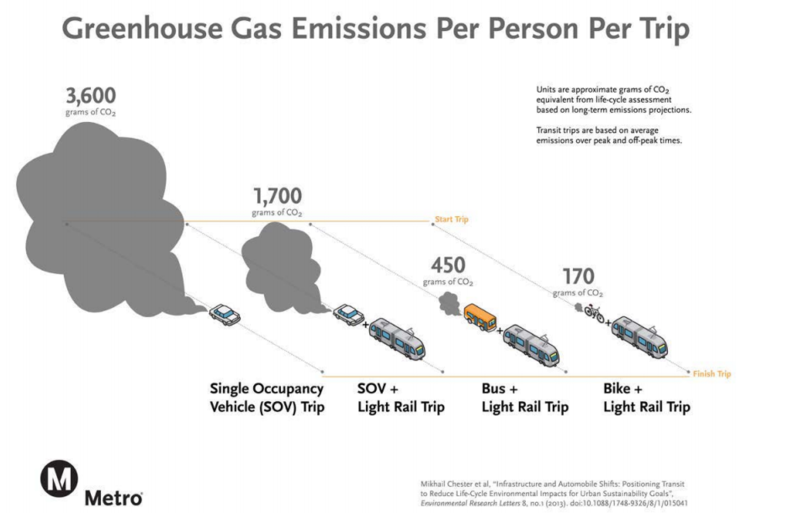 The emissions generated per person are much less for transit than for single cars. While the agency has had problems in the past, and there are certainly things still needing fixing, the agency is just about in the best position it has ever been in. It is operating at a net gain, has excellent bond ratings, is already undergoing large maintenance projects, is already implementing service quality upgrades, is already replacing and growing its bus fleet, and is planning to replace its entire rail fleet, all without extra funding. Our transit system is one that is limited in its reach, but also one which is actively working to change that. With the passing of the MARTA expansion tax in November 2016 in the City of Atlanta, the agency has already started rolling out new bus services and planning is well underway for Heavy Rail, Light Rail, Bus Rapid Transit, and Streetcar expansions within the city. With both Fulton and DeKalb looking to have similar expansion efforts, as well as already underway work in Clayton, MARTA will be growing in scope and reach for Decades to come, and with that, the usefulness of transit as a whole. Despite its current limits, MARTA is already the 9th largest transit agency in the nation, with the 8th largest rider/mile (2014) value in the country, serving over 430,000 riders a day. This ridership is only certain to grow as more companies and developers build near existing transit lines, and the metro in general grows, coupled with the network effect of expansion. That is, when transit grows, it reaches new potential riders, while also adding new destinations for those already within the service area. More than likely, no. Transit is, more and more, considered a prime amenity which can be leveraged by developers. As such, land that is both in a desirable area, and near transit, is likely to be more valuable than land that is not. Most negative impacts to property values come from conditions other than transit, and more reflect the baseline desirability of the neighborhood in general. More than likely, no. MARTA, is the second safest transit system in the nation. MARTA Police units patrol all of the buses, trains, stations and parking lots, and more than 10,000 surveillance cameras operate around the clock. Additional precincts and officers would likely be established to help cover any new sections of the system, as were built in Clayton. In 2016, the MARTA system had a crime rate of only 34.7 per 1000 riders, which is better than much of the metro, including Marietta. Furthermore, a 2014 examination found that, when there is crime, it is rather well correlated to the condition of the neighborhood around the station. That is, that the safer the neighborhood, the safer the station is likely to be. This generally applies to the rest of our metro's transit network as well. The answer to this will largely depend on the agency actually handling the transit expansion, though, most likely, any contract to do so can come with stipulations that the money remain locally. While there should be a certain understanding that, if joining a regional agency, Cobb would be working with a larger force that has to consider how the entire metro works together, and that improvements to the network as a whole benefit everyone served by it. Still, there are ways to ensure Cobb is getting a fair share of what it pays for. When Clayton joined MARTA in 2014, it negotiated a percentage of its tax be withheld to fund and operate high capacity transit to and within the county. In 2016, the additional expansion funds in the City of Atlanta, for MARTA, are legally required to remain within the city, and are dedicated only to projects preapproved by leaders, and voted on by residents. Similar deals could be worked out between Cobb and its agency to ensure that Cobb's needs are met. MARTA, as a multi-county agency, is governed by a board of directors, consisting of representatives appointed from each of its service counties, the City of Atlanta, and the Governor, with non-voting members appointed by GDOT and GRTA. Cobb would gain voting representation on this board along side all other represented parties. Furthermore, the Georgia General Assembly has a standing committee that is charged with financial oversight of the agency. MARTOC is filled with representatives from across the state, and is not limited to just those areas served by the system. Such oversight bodies would be the main method through which Cobb can ensure its needs are being met. MARTA offers a scale and capability that Cobb Linc is, sadly, unlikely to grow anywhere near. Cobb Linc simply does not have the experience, nor resources to operate high capacity transit as efficiently as MARTA does. MARTA has four plus decades of operation experience of a large, urban bus fleet as well as urban rail. The agency has had years and years of practice at studying, designing, funding, and implementing large-scale projects across multiple jurisdictions, with more to come. By joining MARTA, Cobb would be able to directly tap into that wealth of knowledge and experience, as well as take advantage of the existing scale of MARTA's system to build off of, saving resources by eliminating unnecessary redundancy. Similarly to why Cobb Linc is unlikely to grow to match what MARTA has to offer, GRTA, as it is currently established, is unlikely to be able to fill in the rest. Though GRTA is an agency with a larger geographic reach, it is much smaller than even Cobb Linc in its scope of operations. MARTA still represents the only agency in the metro with the scale and experience to tackle the large-scale projects needed for a county like Cobb. Of course, GRTA would still be able to make use of MARTA's infrastructure (commuter rail lines, stations, bus lanes, etc.) as it comes in from beyond the core counties. As such, expanding MARTA may very well help GRTA grow in the long run, offering more opportunities to reach out into the further-off metro area.